Who knew Halloween could be so cute?! 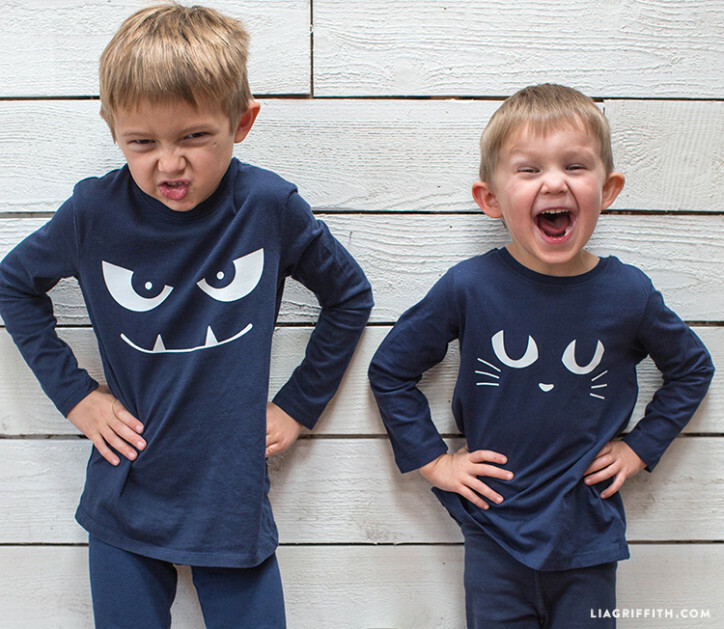 Our DIY glow in the dark pajamas are a fab way to get into the spooky spirit this Fall. 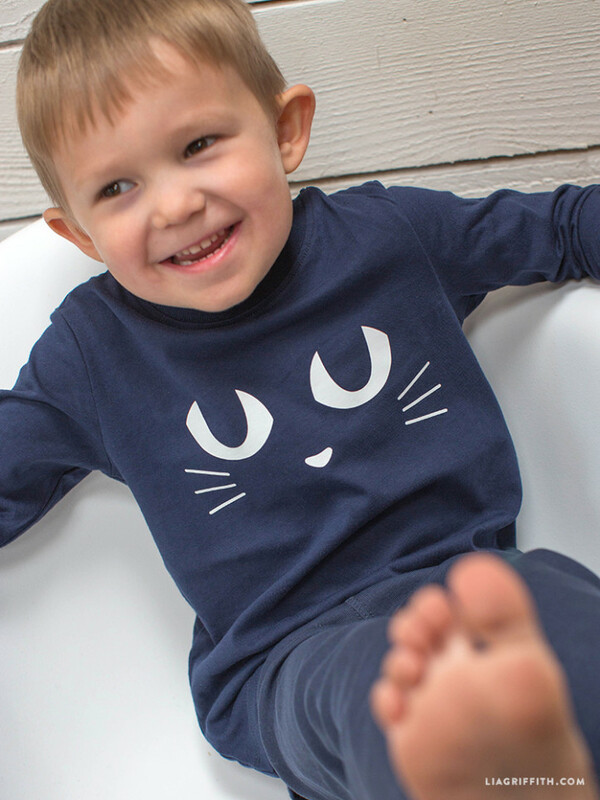 Using glow in the dark iron-on vinyl from Amazon and a pair of simple blue pj’s from H&M, our glow in the dark pajamas are simple to create at home. If you have a cutting machine you will need to click on the SVG file button below. Print and cut your vinyl using your cutting machine then iron-on by following the instructions on the vinyl packet. If you want to cut the pattern by hand then start by downloading the PDF pattern below. Print onto regular printer paper then cut out the template. Transfer the outline to the wrong side of the glow in the dark vinyl with a pencil and cut out with regular scissors. Iron the vinyl onto the pajamas by following the packet instructions and you’re good to go!